2 One week camps for boys and girls grades 1-8 focusing on overall skill development. 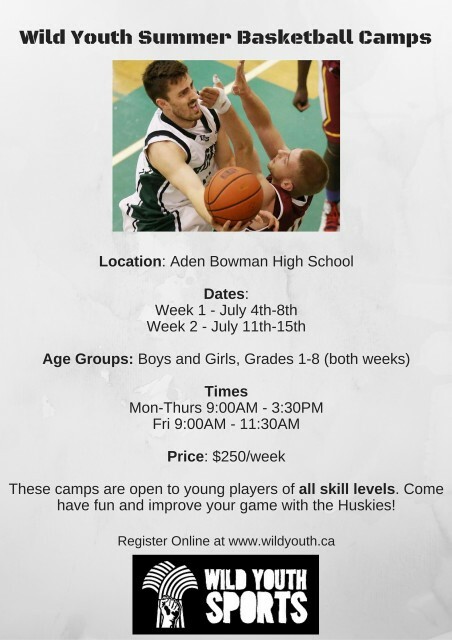 We think that these camps are great opportunities for young players in Saskatoon to learn from some of the top players in province who want to give back to the basketball community. For registration or contact information please go to www.wildyouth.ca or see the poster for more information.